Name Day for two of our boys. They have requested a chocolate mud cake. – Purchase mud cake ingredients. -Read St Francis Xavier’s story. – Celebrate with our Chocolate Tower. – Read St Barbara’s story. *This year due to the Feast falling on Sunday we will celebrate on the 5th. – Purchase children’s books for their St Nicholas Gifts. 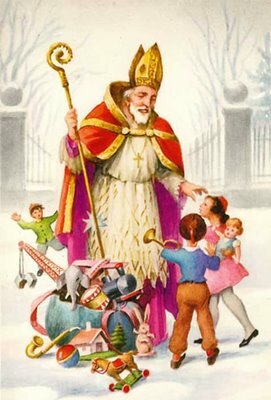 – Purchase candy canes for St Nicholas Feast. 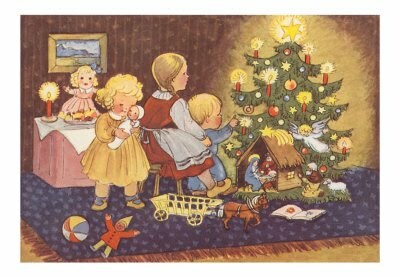 -Gather our St Nicholas books together and read. – St Nicholas Unit. (Printed from Kathryn’s old blog) Best I’ve seen. May get to do some of this in Week 1. – St Nicholas Center, food, craft, colouring and more! Wonderful! I'll be back to check again.